All IVORY CROSSING homes currently listed for sale in South Jordan as of 04/21/2019 are shown below. You can change the search criteria at any time by pressing the 'Change Search' button below. "New paint, new appliances, new plantation shutters! 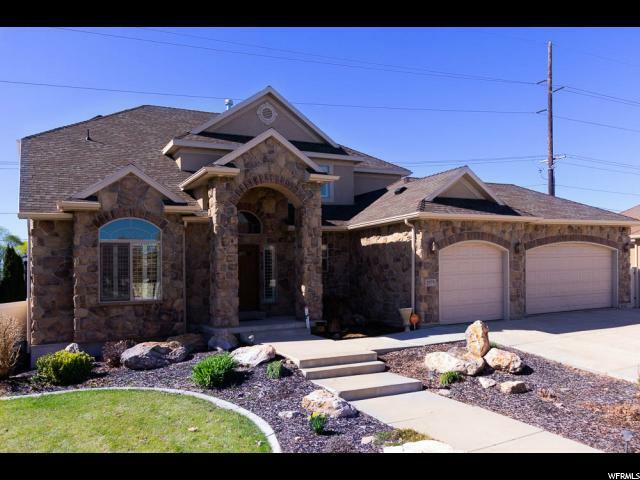 This spacious home in Ivory Crossing is a must see! Welcoming grand entry, formal living room, formal dining, great room with fireplace, large office area and a gourmet kitchen with plenty of cabinet space, gas cook top, granite counter tops and large island. Open floor plan with soaring ceiling and large windows for lots of natural light. Gorgeous master suite with bay windows, grand master bath and large walk in closet. Downstairs boasts a large family room w/walkout, theater room, kitchenette, one bedroom with en-suite bathroom and walk-in closet, additional half bath, cold storage and a large storage room. Private, fenced back yard has mature trees and a large patio with natural gas grill. $3000 in new alarm equipment included in sale. Community swimming pool with separate kiddie pool, club house, play area and lots of community activities. Square footage figures are provided as a courtesy estimate only and were obtained from county records. Buyer is advised to obtain an independent measurement."